(Kapalua) –The Dept. 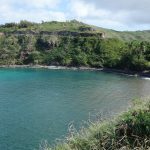 of Land and Natural Resources is in the process of developing a management plan for Honolua Bay and Lipoa Point on Maui’s west coast. The plan will help guide the preservation of environment, cultural, and recreational resources by balancing current and future uses of the area, along with practices to develop appropriate policies and actions. (Hilo) – The DLNR Division of State Parks, in consultation with other DLNR divisions and the Hawai‘i County Civil Defense Agency is reopening MacKenzie State Recreation Area (SRA) in Lower Puna on Saturday, Sept. 8, 2018. The park had been closed since shortly after the beginning of the East Rift Zone eruption in early May. 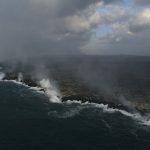 HILO – Recent volcanic eruptions on the Big Island have forced the sole source of black cinder to vacate its harvesting plant, jeopardizing the island’s tropical floral business, a major economic industry in East Hawaiʻi. These businesses provide plants and flowers to flower and lei shops and stores for sale statewide and out-of-state exports. KAHULUI -- The Department of Land and Natural Resources (DLNR) is proposing to establish a light industrial and commercial business park at Pulehunui on Maui. The 280-acre DLNR Industrial and Business Park is located along Maui Veterans Highway (formerly known as Mokulele Highway) adjacent to the Hawai‘i National Guard Armory and the County Raceway Park in Central Maui, in the vicinity of the former Naval Air Station Pu‘unēnē and Maui Humane Society. HONOLULU -- The Department of Land and Natural Resources (DLNR), Land Division, has issued a Request for Interest (RFI) relating to the former Uncle Billy’s Hilo Bay Hotel site, more recently known as the Pagoda Hilo Bay Hotel, located in Hilo, Hawaii, on Tax Map Keys: (3) 2-1-005: 033, 034, 035 and 045 (Site). The total land area of the Site is approximately 1.83 acres, more or less. The public is invited to provide input on the future of State lands at Honolua Bay and Lipoa Point at a community open house on Wednesday, November 8, 2017. The State of Hawai‘i acquired these lands in 2014, following a tremendous effort by the community, guided by the Save Honolua Coalition, the State’s political leaders and others to prevent development of the agricultural lands surrounding Honolua Bay. The Department of Land and Natural Resources (DLNR) is seeking community input on a proposed light industrial and commercial business park at Pulehunui in central Maui. A public meeting will be held on Wednesday, August 16 from 5:30 to 7 p.m. at Kihei Community Center at 303 E. Lipoa St. in Kihei to provide more information on the proposed project and invite feedback from the community. If you launch a boat from one of O‘ahu’s small boat harbors you’ll see one. 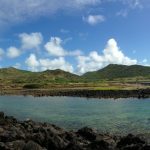 If you start hiking up one of the island’s popular trails you’re bound to see one. 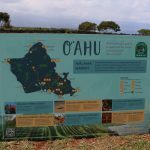 By the end of today, 25 large, conservation messaging signs will have been installed at various locations under the jurisdiction of the Department of Land and Natural Resources (DLNR). Another five signs are portable and will be used for various outreach and education purposes.